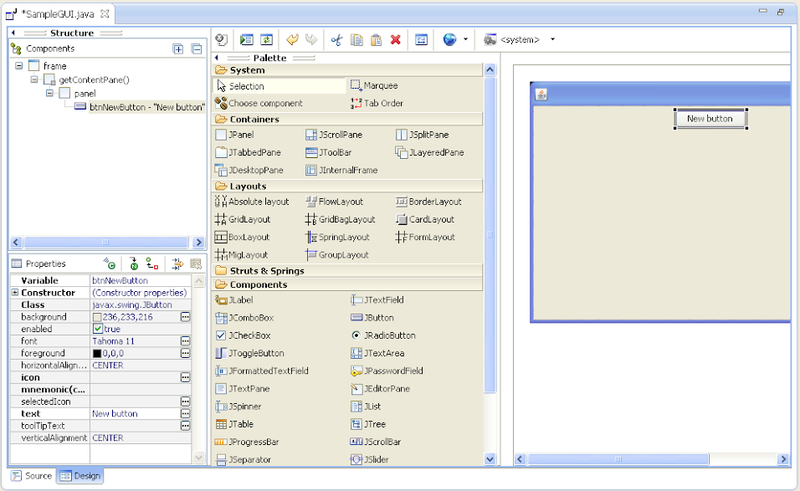 In this article, I am going explain the simple way to make GUI with Eclipse editor. Eclipse have some wonderful plugins to decrease GUI coders effort. You need to install WindowBuilder plugin with some toolkits. Now Eclipse will filter all plugins under this release. Expand 'General Purpose Tools'. 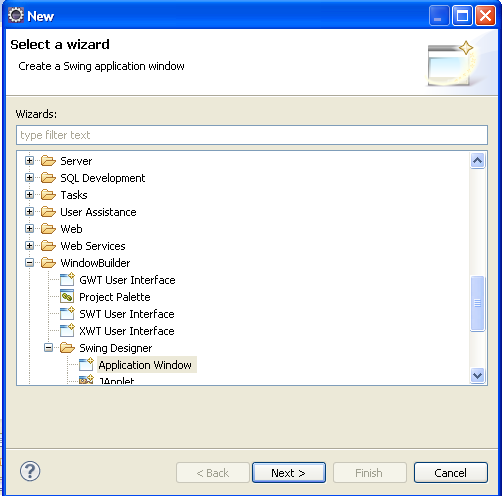 Select all WindowBuilder items and Swing Designer and SWT items. Cick on finish. These plugins will be installed. Create new project and create new package. There you can see lot of GUI components ready to use. If you want to add any component, just select that and add it to present panel.